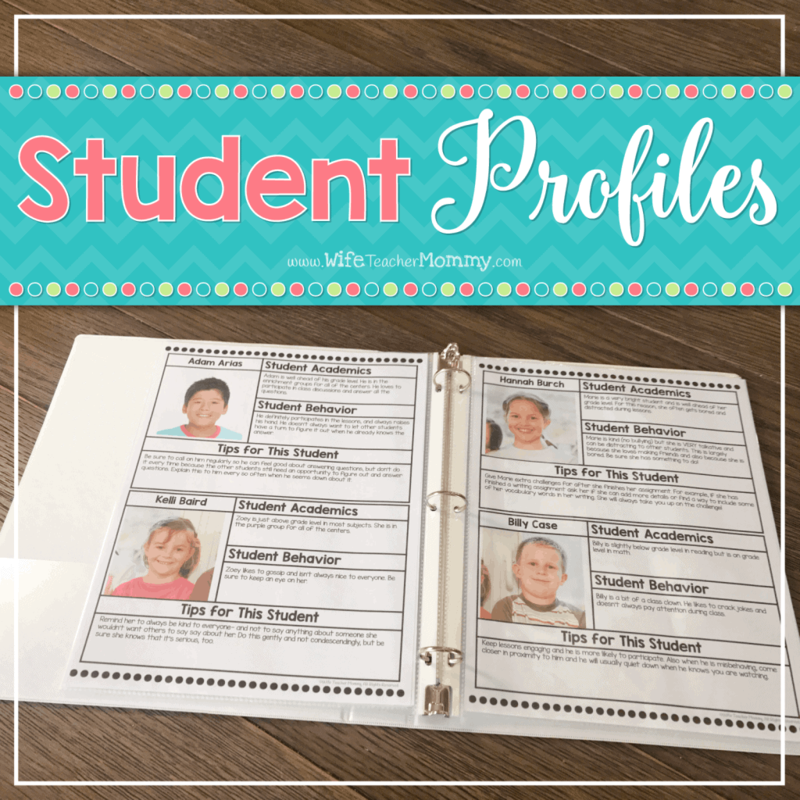 These student profiles are editable student info sheets! 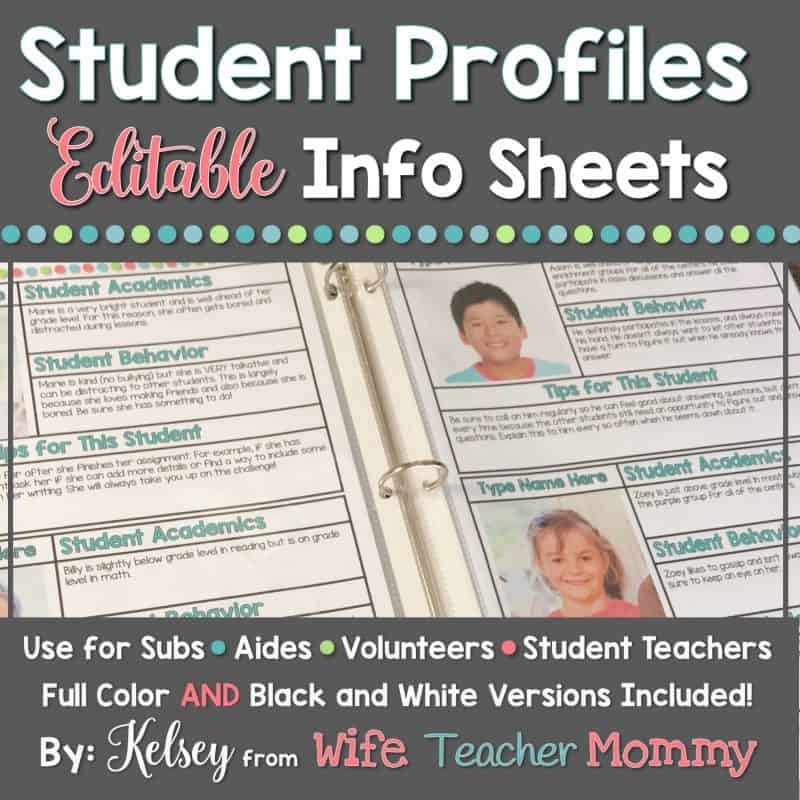 They are perfect for getting to know your students at back to school, substitutes, volunteers, aides, para-professionals, student teachers, and more! 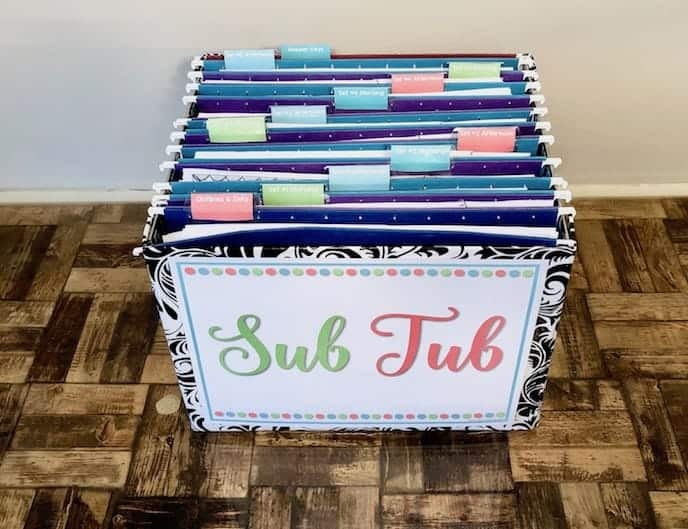 Once you’ve filled them out, you can let anyone who is working with your students look at the binder so they can jump right into helping meet their individual needs. Please note that this is an instant download! That means you don’t have to wait for anything to ship. 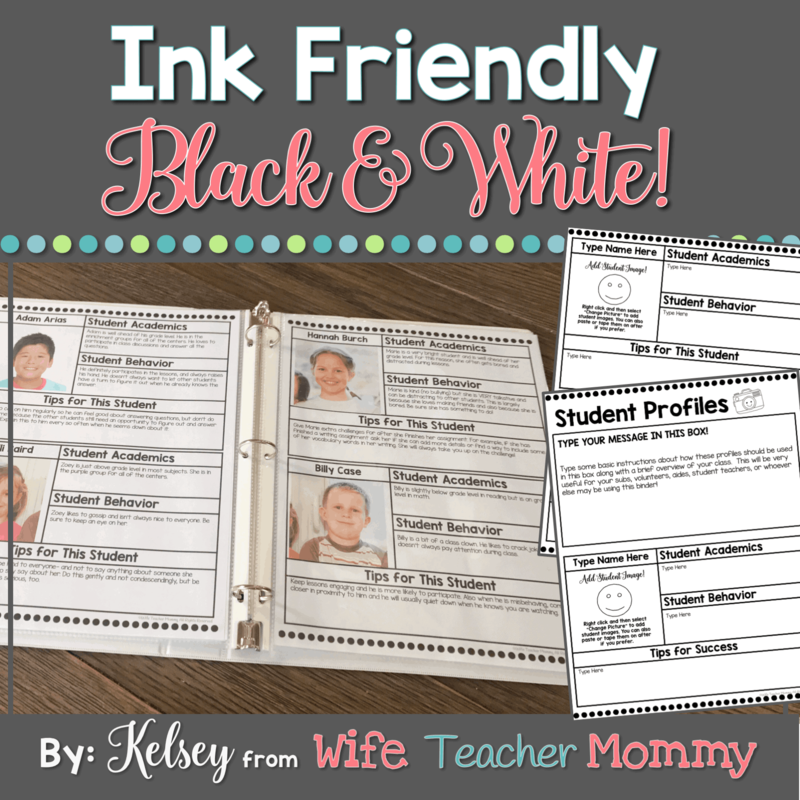 You can download, print, and use this resource right away! Please note that you also need PowerPoint to access and use this resource. Please ensure you have the program downloaded on your computer before you purchase this product. All of the heavy lifting is done for you, so all that’s left to do is fill in your student information! 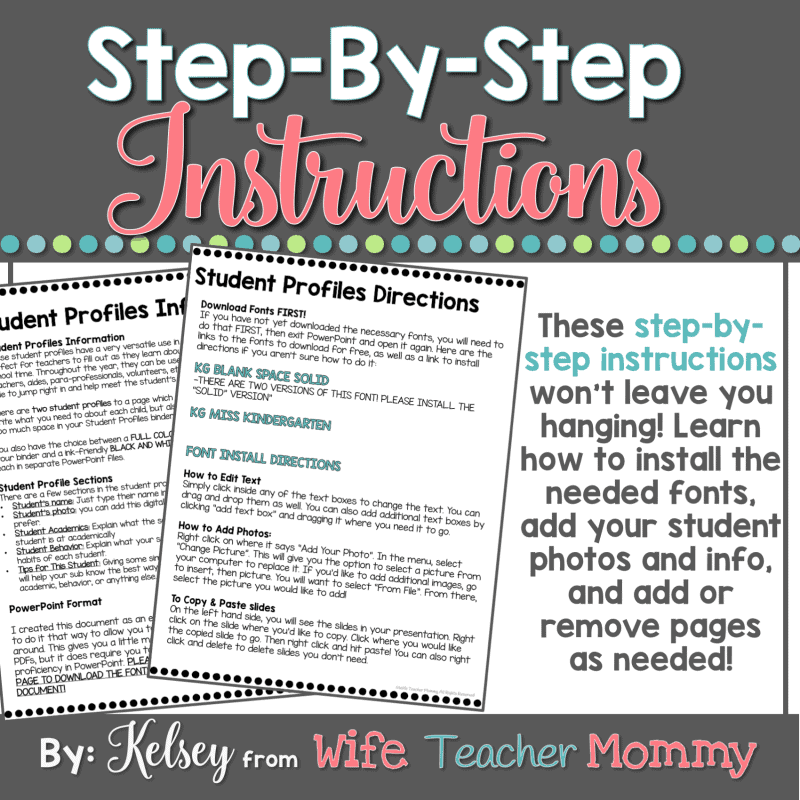 This is super easy to do with PowerPoint, and step-by-step directions are included. You can add as many pages as you need, or remove pages if you don’t need as many! There are two options: color and black and white! PLEASE NOTE THAT YOU MUST HAVE POWERPOINT TO USE THIS RESOURCE! 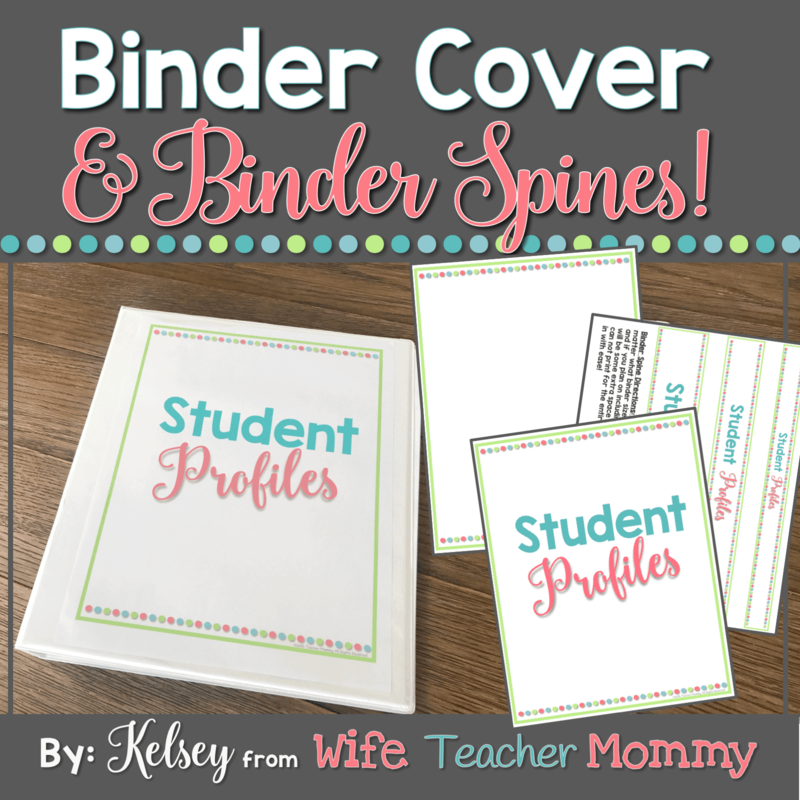 Binder covers and spines are also included to complete your Student Profiles binder! 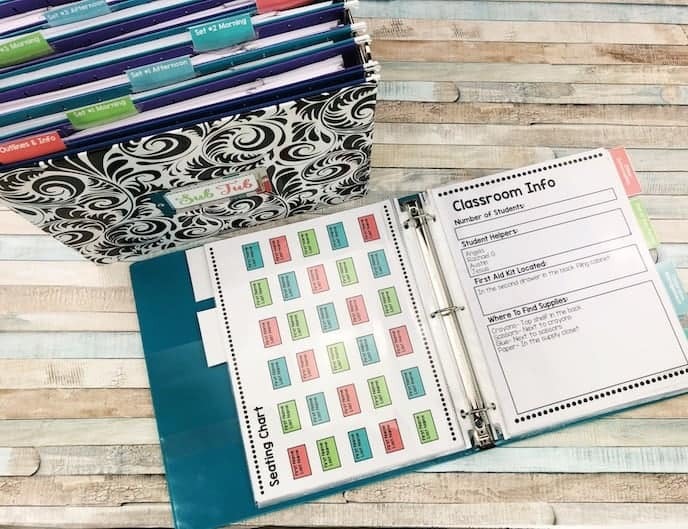 You will be the most organized teacher around. TAKE A LOOK AT THE PREVIEW TO SEE A PEEK INSIDE THE BINDER!